Spruce top, Shina back and sides, Nato neck, Rosewood fingerboard and bridge, and die cast machine heads. The DY70CE is a part of the all-new Alvarez-Yairi Series and is simply superb. Classically designed Dreadnought delivering a big, open, and articulate sound. The ARD is a modern take on the classic 12th Fret, slope shouldered dreadnought with a slotted headstock and open gear tuners. The WY1 has a solid cedar top with rosewood back and sides. Includes System 600T MKII electronics. 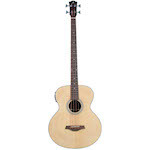 Alvarez OM models are constructed to get best out of their smaller body.. Superb value, great all round GA with a balanced and lively tone. One of Alvarezs best selling guitars. The AG75CE is a great all round instrument for live work or recording. The WY1TS features a flamed maple body and a sunburst-finished solid spruce top.